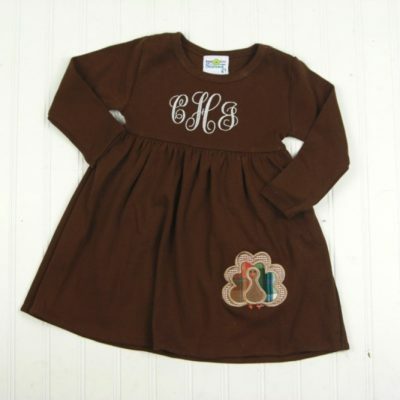 Our crimson Alabama dress is perfect for game day. Crimson kona cotton fabric is appliqued with a grey elephant. Houndstooth straps give it a perfect Bama look. The bodice is fully lined, and the gathered skirt is serged. It looks cute alone, or with a short or long sleeved shirt underneath. The elastic under the arms and the snaps at the front make it an easy on and off fall outfit. They’re completely machine washable so she can wear it again and again! 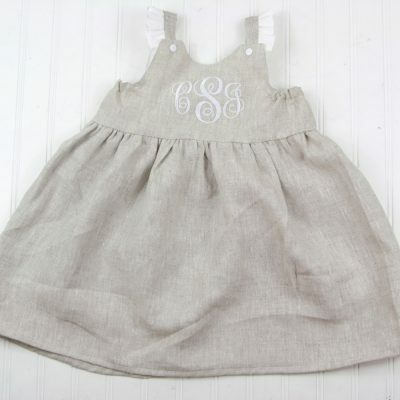 Choose to get the dress plain or monogrammed at the hem. 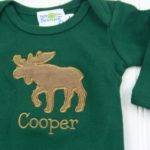 OPTIONS: You can order the outfit to have just the elephant, or to add initials at the hem. Choose your options as you add the dress to your cart.